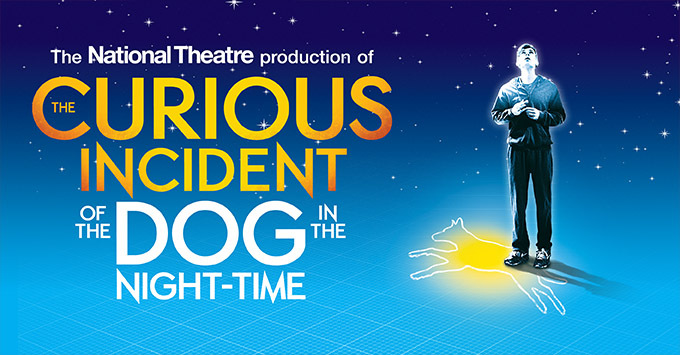 The Curious Incident Of The Dog In The Night-Time, winner of five 2015 Tony Awards® including Best Play, is a mesmerizing play that will debut at Walton Arts Center on Tuesday, April 18 and feature eight performances through Sunday, April 23. This new play is adapted from Mark Haddon’s best-selling novel by the same name. 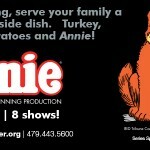 And we’ve got 4 tickets for a local mama to win so her family or friend group can see the show for FREE on April 18th! It sounds absolutely amazing (see a video below for an idea of how compelling the play is). ABOUT THE SHOW: The play, recommended for ages 12+, follows fifteen-year-old Christopher, who is exceptionally intelligent but is ill-equipped to interpret everyday life. When he falls under suspicion for killing his neighbor’s dog, he sets out to identify the true culprit, which leads to an earth-shattering discovery and a journey that will change his life forever. Staged in a box-like set, the play uses projections, music, sound effects and choreography to illuminate Christopher’s whirling thoughts. Tony-winning director Marianne Elliott (War Horse and Curious) presents a series of fast-paced scenes in which Christopher’s point of view is reflected through interaction with his parents and teacher, plus various neighbors and authority figures portrayed by an ensemble cast. “It’s about all of us encountering things that we find overwhelming and confusing, and feeling that fear, but driving through anyway,” Elliot said. 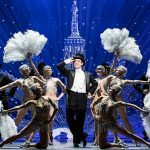 You’ll be dazzled by the journey into Christopher’s world—including a surprise post-curtain call scene that’s not to be missed. 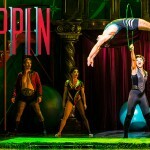 Get ready for a uniquely exciting theatrical experience. We’ll choose the winner on Friday! If you want to go ahead and grab tickets to this show, CLICK HERE to visit the Walton Arts Center page with more details. Ticket prices start at $35, plus applicable fees, and can be purchased in-person at Walton Arts Center’s Box Office, by calling 479.443.5600 or online here. 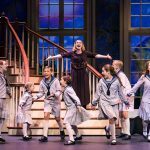 Giveaway: Tickets to Goodnight Moon/Runaway Bunny and Drowsy Chaperone! The Zookeeper’s Wife is about to be released as a movie. It is a true story about how a Zookeeper and his wife help save scores of Jewish men, women and children in Poland. Rise of the Rocket Girls. Great read! Power of a praying parent. A great book for all parents!!! I haven’t had time to read a book for myself, but have been reading ‘Wonder’ aloud to my kids each night and we all love it! Up Island by Anne Siddons – a woman who finds her way to survive all of life’s unexpected. i have not read a book lately, but read “the shack” a few years ago and had intended to read it again and then the movie came out! I’ve went to see it twice. I just finished reading American Gods by Neil Gaiman. It is wonderful and I believe they are currently making a television show out of it. Bernie Sanders book i do enjoy reading, my wife more so.